Fish make delightful and beautiful pets that can add life and serenity to any home or professional environment. While keeping fish as pets can seem like a daunting task to many aquarium hobbyists, especially if you are just starting out in the hobby, the reality is it's not as difficult as it seems. That said, fish do encounter certain complications that most other pets avoid - and when a fish gets sick you usually can't just take it to the vet for a resolution. Fortunately, many products exist to allow you to take full control over your pet fishes' wellbeing, from the comfort of your own home or office. 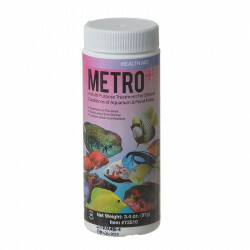 We've got everything you need to get your aquatic pets right again. 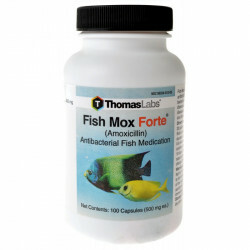 Pet Mountain's Fish Health Care store features top quality, fully tested fish wellness products from the most trusted names in aquarium care, including API, Seachem, Tetra, Thomas Labs, Kordon and more. 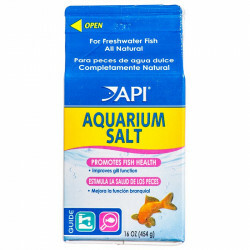 API Aquarium Salt is an all natural salt, made from evaporated sea water, promotes healthy gill function, reduces stress and loss of electrolytes. 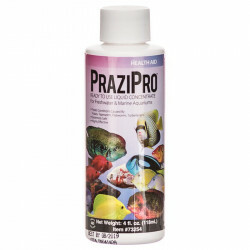 It is used to improve the efficiency of treatments and reduce the harmful effects of nitrite.Bacterial & Fungal Aquarium Treatments offer easy-to-administer treatments for the most common infections facing aquarium fish, including open wounds and abrasions, fin and tail rot, mouth fungus and hole-in-the-head, and helps promote the regrowth of damaged fin rays & tissue. 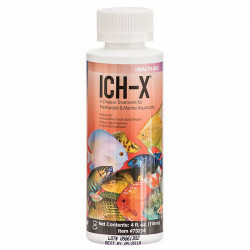 Multi Purpose Aquarium Treatments offer general relief from a wide variety of fish ailments, including parasites, open cuts, overall health and more. Parasites are a common problem facing aquarium fish, and if left unchecked can cause severe health problems and even death. External and internal parasite treatments are simple treatments that help rid your tank of these unwanted intruders.